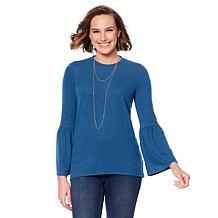 Sleeves change how your tops feel and look. 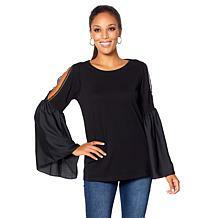 Not having sleeves makes a bold statement, but having the right kind of sleeve makes an even bigger statement. 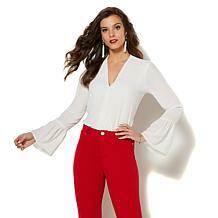 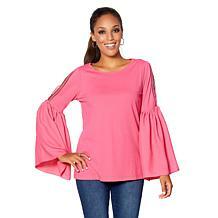 You can get tops with bell sleeves to make a fashion statement that helps you stand out from the crowd. 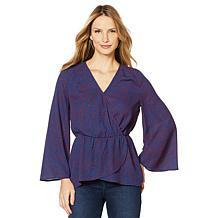 Bell sleeves add a longer and flowing look to your top as you move your arms. 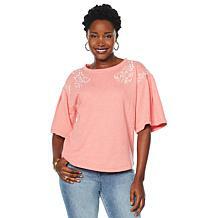 They are a great way to accentuate your shape and add flair without adding additional pieces. 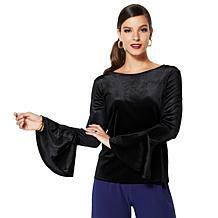 Bell sleeves continue to be popular since they are so versatile and stylish. 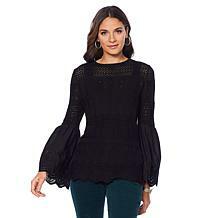 Are you not sure how bell sleeves can change your look for the better? 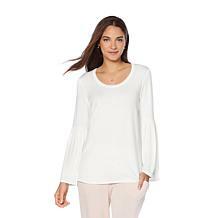 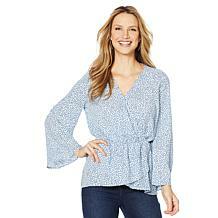 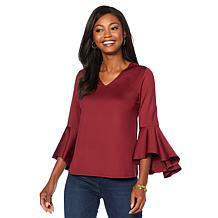 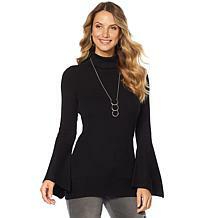 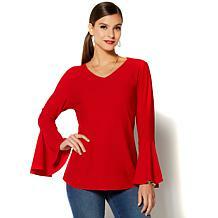 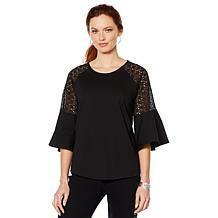 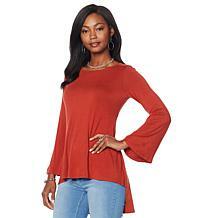 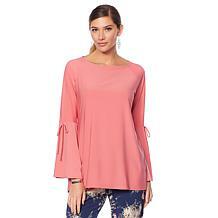 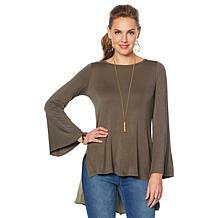 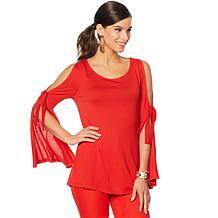 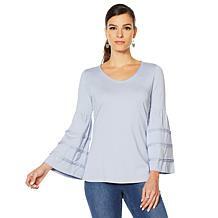 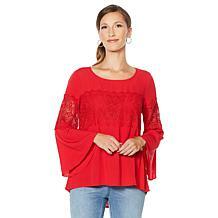 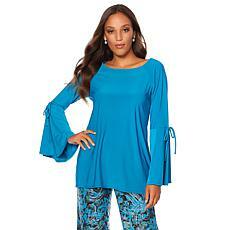 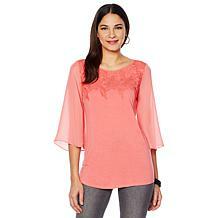 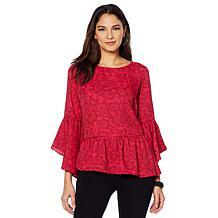 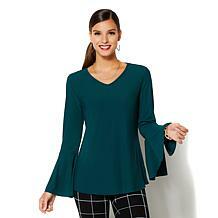 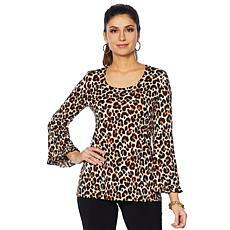 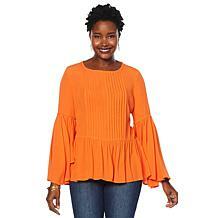 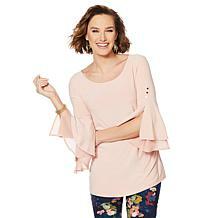 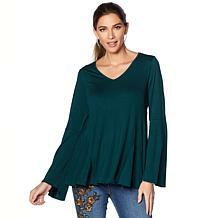 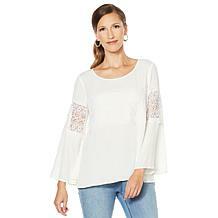 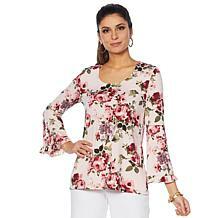 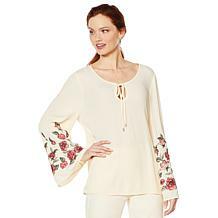 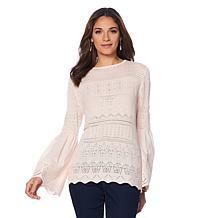 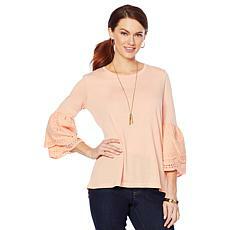 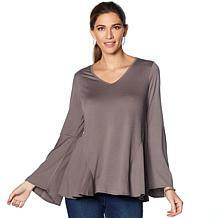 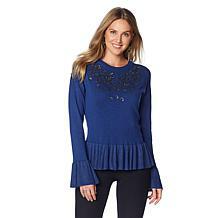 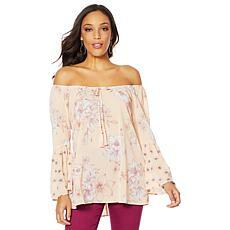 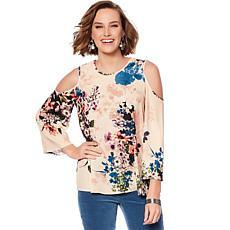 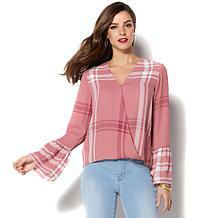 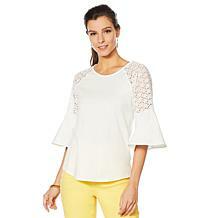 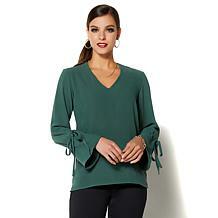 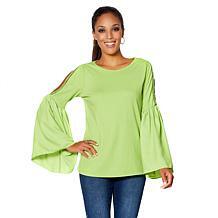 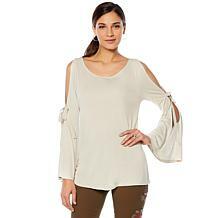 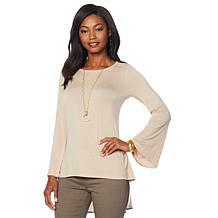 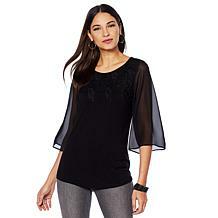 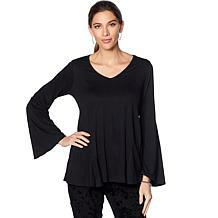 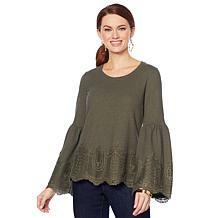 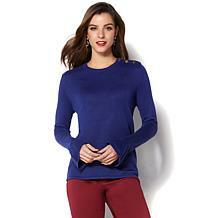 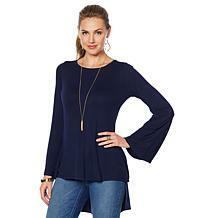 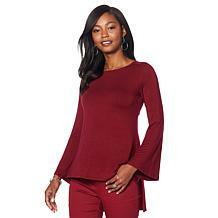 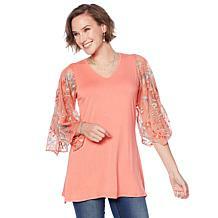 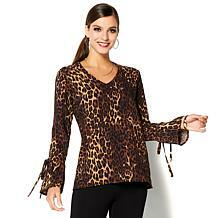 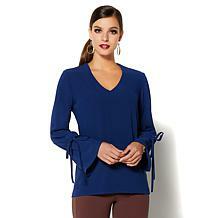 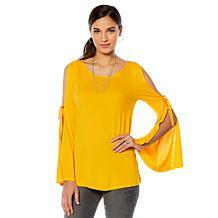 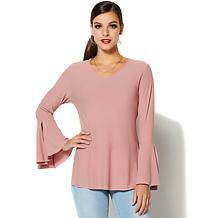 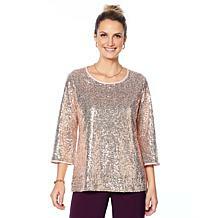 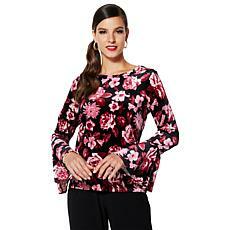 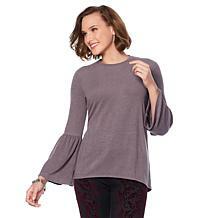 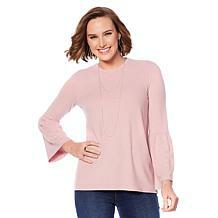 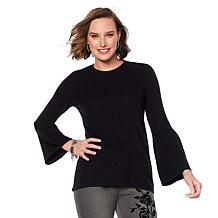 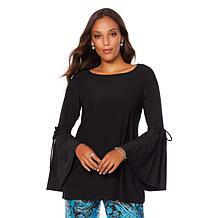 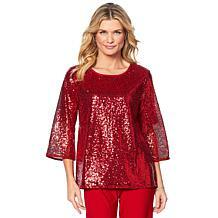 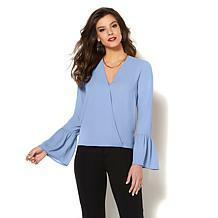 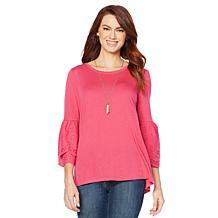 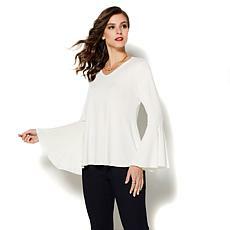 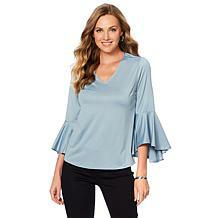 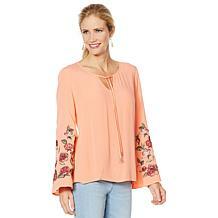 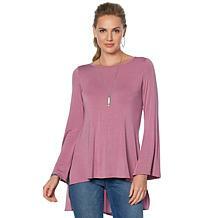 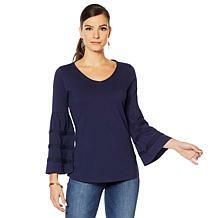 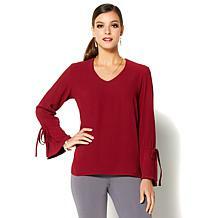 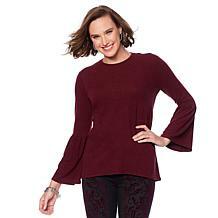 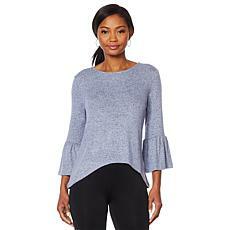 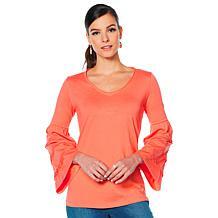 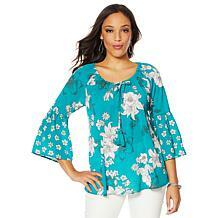 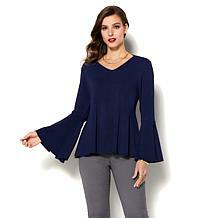 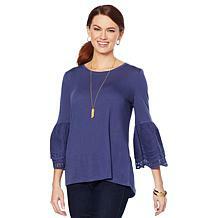 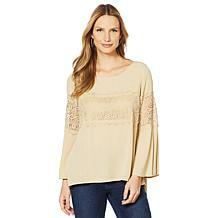 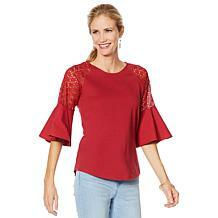 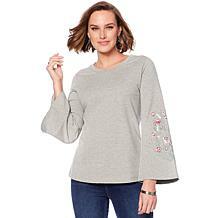 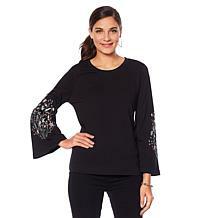 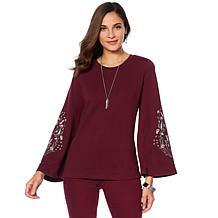 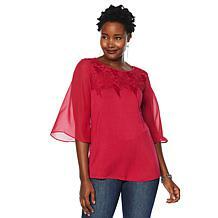 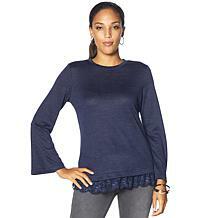 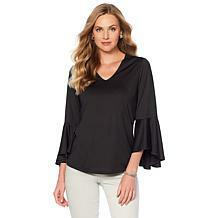 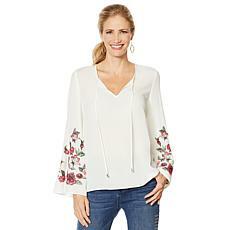 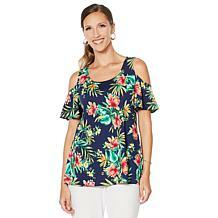 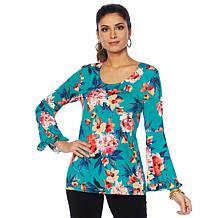 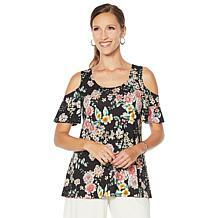 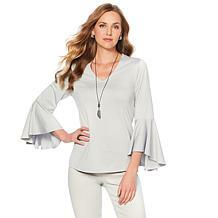 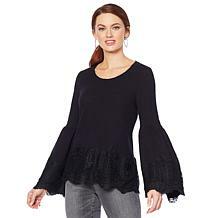 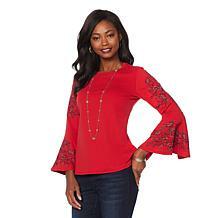 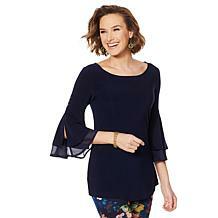 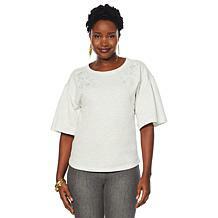 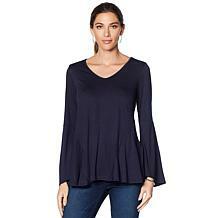 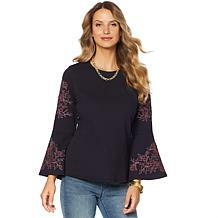 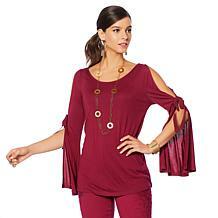 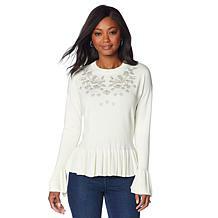 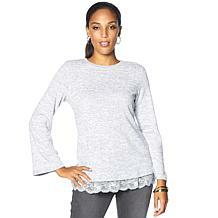 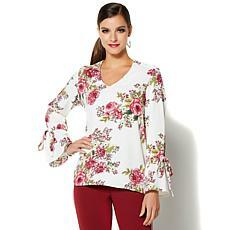 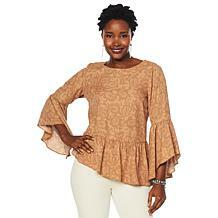 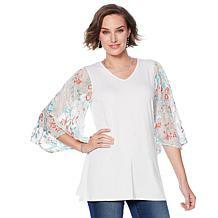 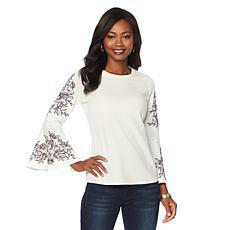 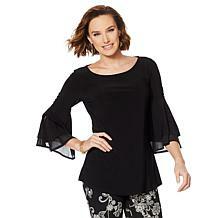 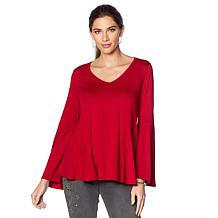 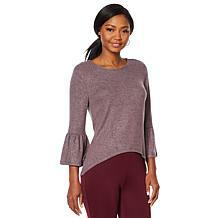 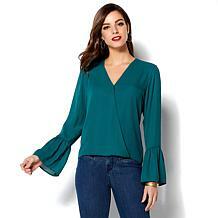 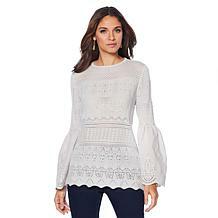 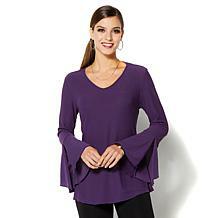 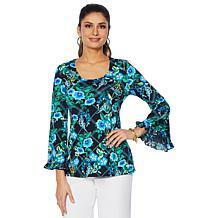 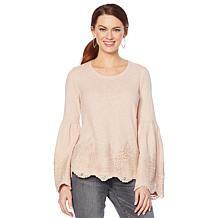 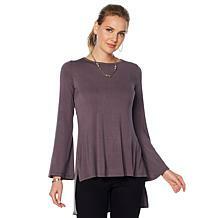 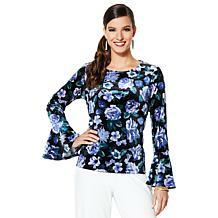 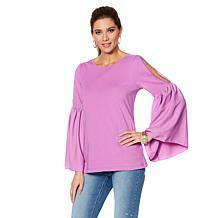 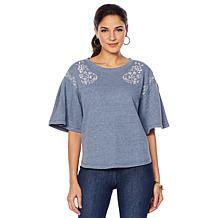 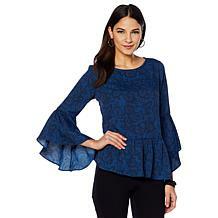 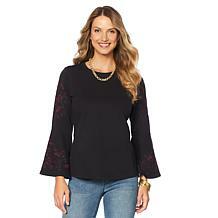 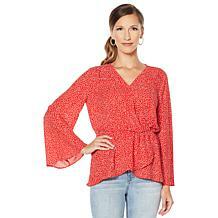 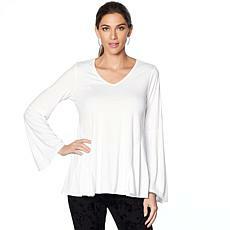 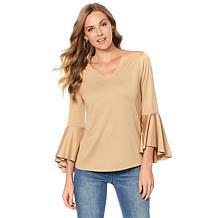 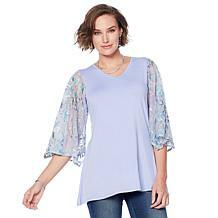 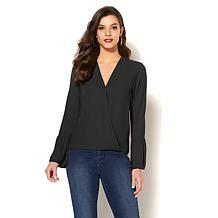 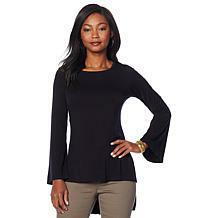 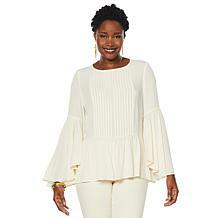 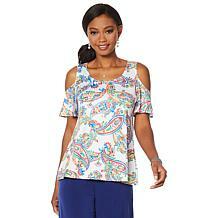 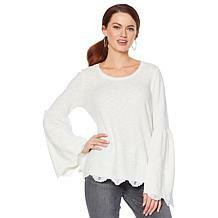 Check out the assortment of tops with bell sleeves available from HSN. 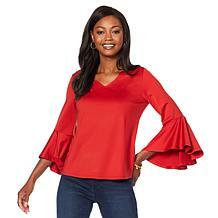 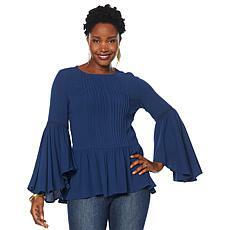 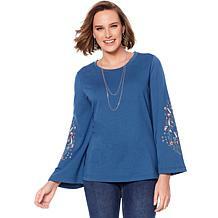 There are plenty of tops with bell sleeves to choose from with different styles, colors, materials, and customizations that will fit into your ensemble seamlessly. 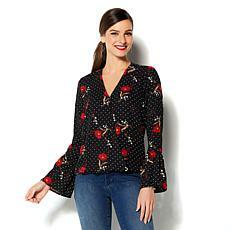 You can start with one, or get enough for every day of the week. 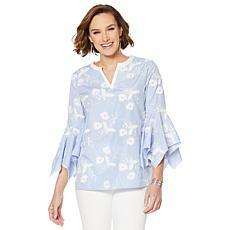 HSN is always getting new tops too, so the fashion possibilities are endless. 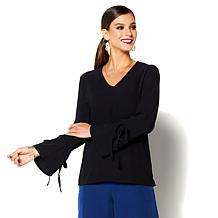 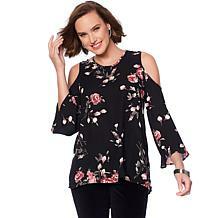 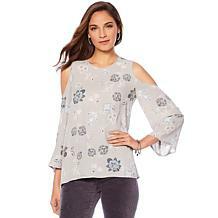 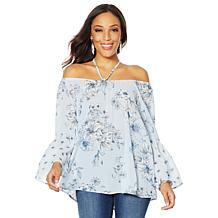 Check out HSN's tops with bell sleeves to see how a simple addition to your collection can change your style for the better.